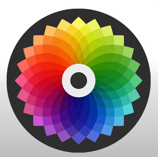 So the Color iPhone app launched today to much buzz and (more importantly) $41 million in funding already in the bank. What it does, best as I can tell, is allow you to take and share photos with people who are nearby. So that if you are at a party, you can see pictures that other partygoers have taken . It also has a feature that lets you rate those photos (thumbs up or down) and see your own personal timeline. You can also see all the pictures that were taken at a particular location in chronological order, so over time, a popular restaurant would likely have hundreds of pictures of people celebrating a birthday or anniversary. Now before we get into the issue of “why would I want to do this?” the overarching theory behind this is that of the flexible social graph based on a community of interest around a particular event or preference. This exists today at some level on Amazon, where they show you the books that other people who’ve bought the book you’re looking at have also read. It’s a useful tool and I’ve often discovered new books that way. It’s also anonymous: I don’t know who any of those people are, just that they bought The Three Little Pigs too and here’s what’s most popular with people in that segment of the Amazon universe. Which is fine with me. I don’t need to know anything about these people other than that they share my taste in literature. I’ve found it’s rare that any two people have the exact same taste in anything subjective (food, literature, film, etc.) so I don’t have any need to follow or friend them. Back to Color though. In addition to not really getting why I’d want to see the iPhone photos of people at the same party (other than the novelty act aspect) I have real concerns over the problems created by the inaccuracy of most smart phones GPS. I mean seriously, when was the last time FourSquare or Twitter or any other apps got your location exactly right. And Color would seem to need that sort of accuracy. Because what’s the fun of seeing pictures of a party two blocks over or photos from a restaurant that’s across the street? I like the idea of fungible social graphs built around a single scenario. It’s just that Color doesn’t seem like the answer as much as it sounds like a one trick pony. PS: Check out this very funny spoof of their pitch deck.